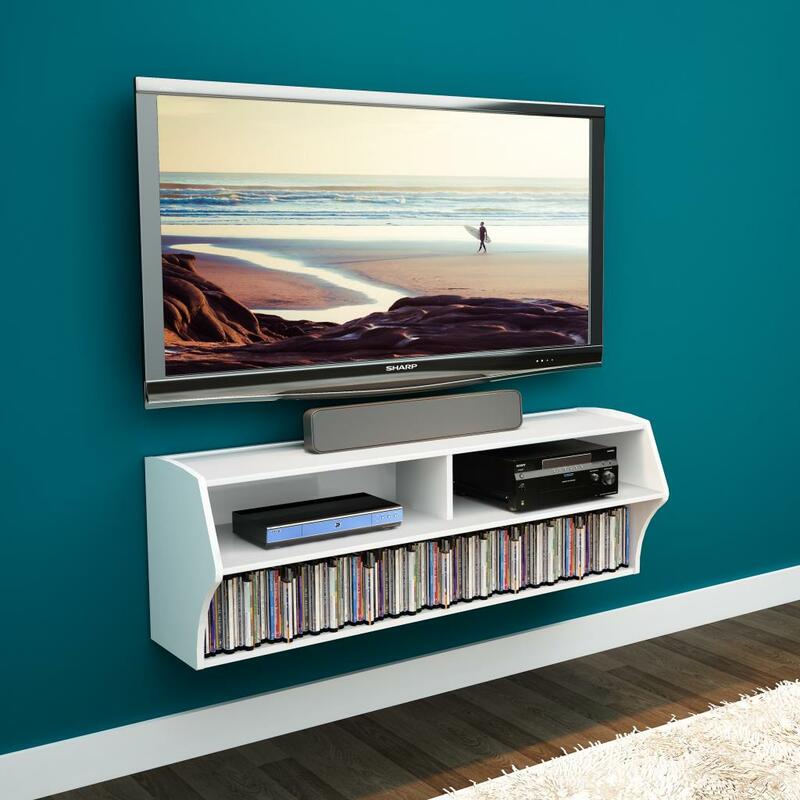 The minimalist, off-the floor design of the Altus Plus eliminates the need for a separate wall-mount TV bracket and is the perfect pairing for any flat screen TV up to 60". At 58 inches wide, it boasts three compartments for A/V components and a bottom shelf for media with room for 137 Blu-Ray Discs or 93 DVDs. 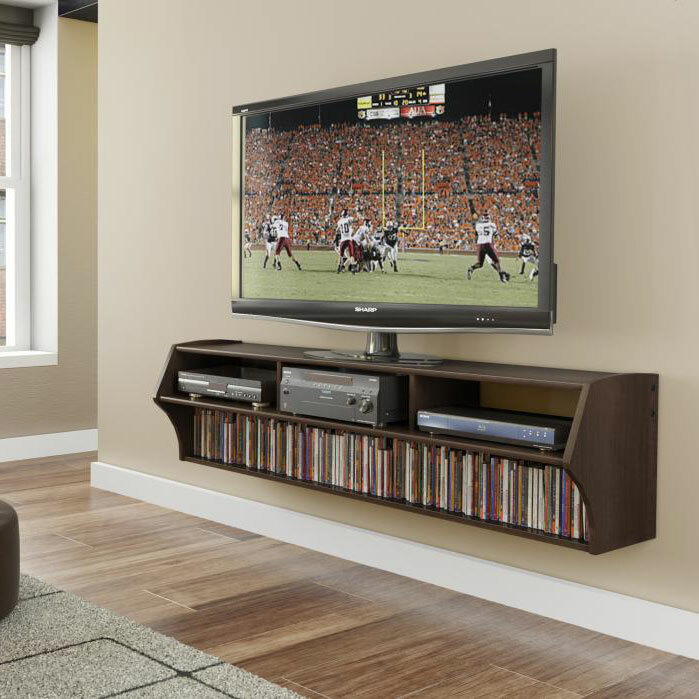 Cables & power bars can be neatly concealed to maintain a clean, modern look. 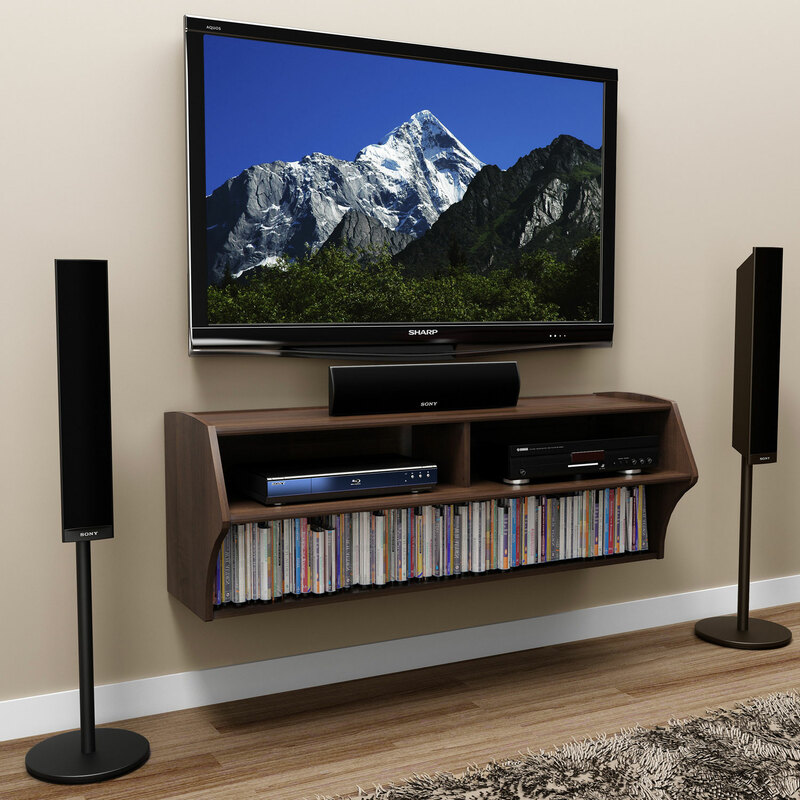 When installed according to the manufacturer's directions, the Altus Plus has a 165lb weight capacity which will accommodate most flat screen TVs and A/V components. Installing the Altus Plus at any height is simple, thanks to its innovative metal hanging rail mounting system. Available in deep black and rich espresso laminate finishes. Proudly manufactured in Canada using CARB-compliant, laminated composite wood. Ships Ready to Assemble with an instruction booklet for easy assembly and links to an installation video. Includes a 5-year manufacturer's limited warranty. 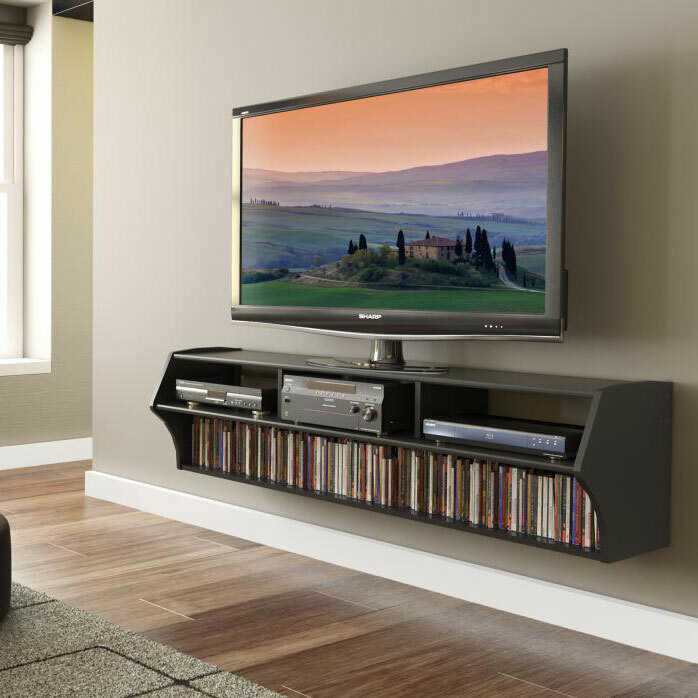 Console mounts easily to wall at any height with our innovative hanging rail system.